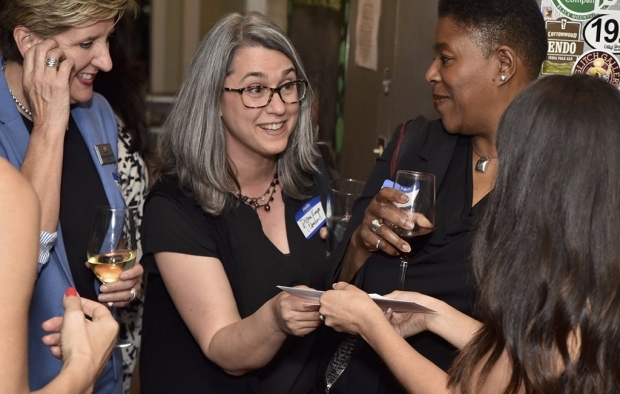 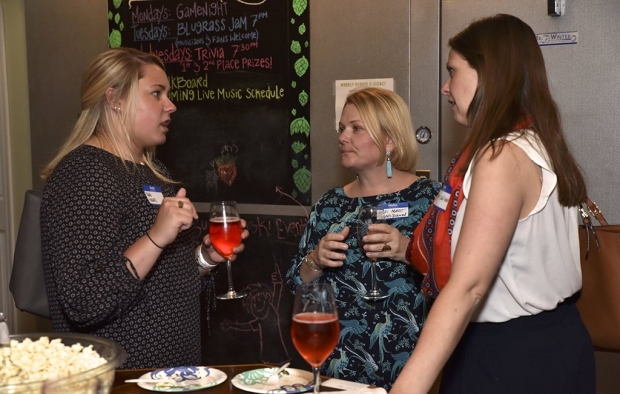 BizSense worked a double shift of schmoozing last week, as we held back-to-back gatherings for the inaugural installments of our two newest event series: The Future Of… and The 5 O’Clock Belles. 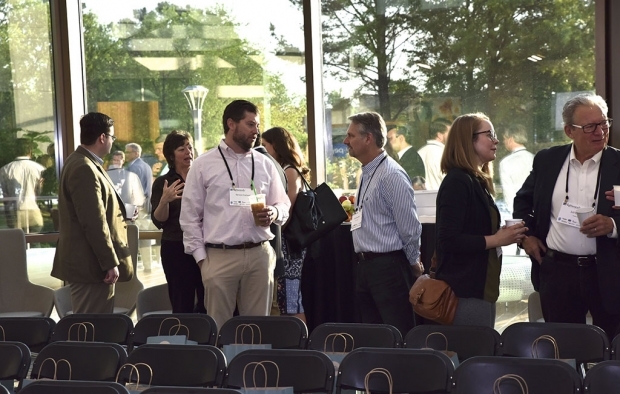 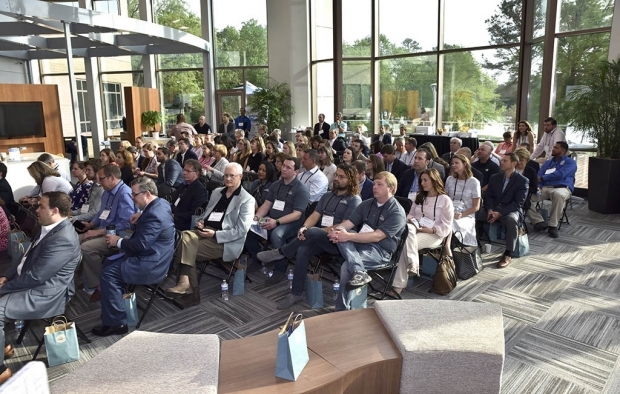 A crowd of around 200 showed up bright and early Thursday morning in Innsbrook for a lively and insightful panel discussion, The Future Of: Office Space in Richmond. 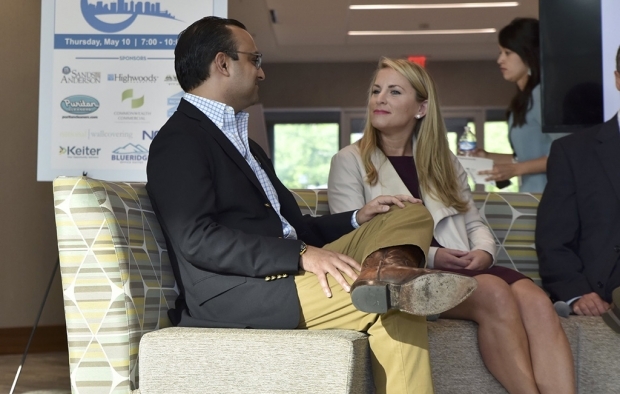 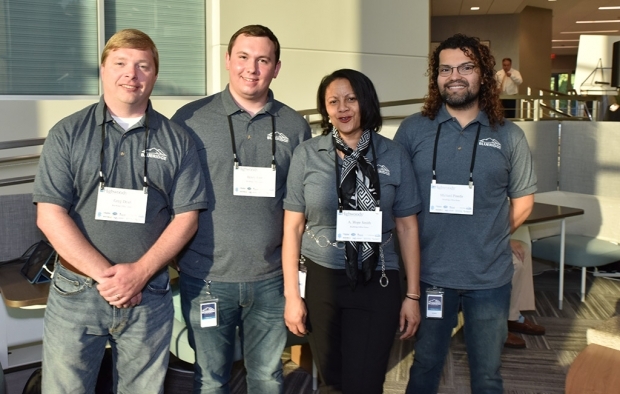 Held in the revamped lobby of the Highwoods I office building at 10900 Nuckols Road – a venue that played into the theme of the conversation – attendees listened as panelists James Crenshaw, Jane duFrane, Jeff Galanti, Yogi Singh and Jessica Zullo pondered what’s to come for the office market in Richmond, including how and where workers will work in the future. 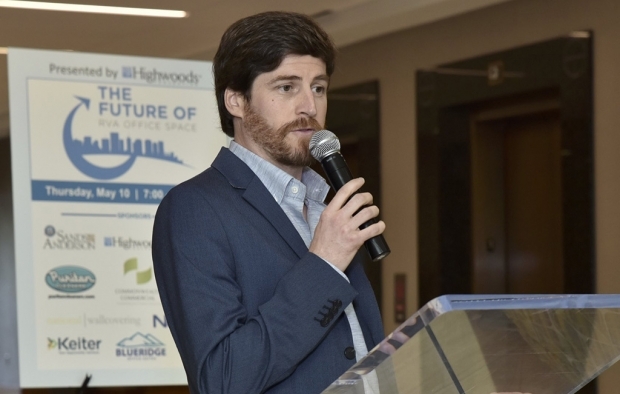 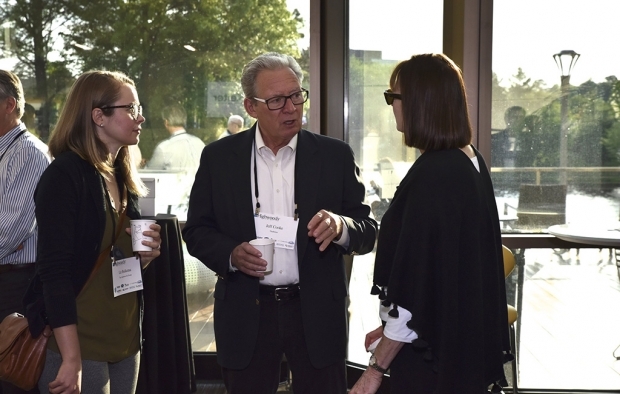 Moderator David Downs, a real estate professor at VCU’s business school and head of its Kornblau Institute, astutely steered the conversation that delved into the battle of urban versus suburban and how the markets are evolving to attract office tenants. 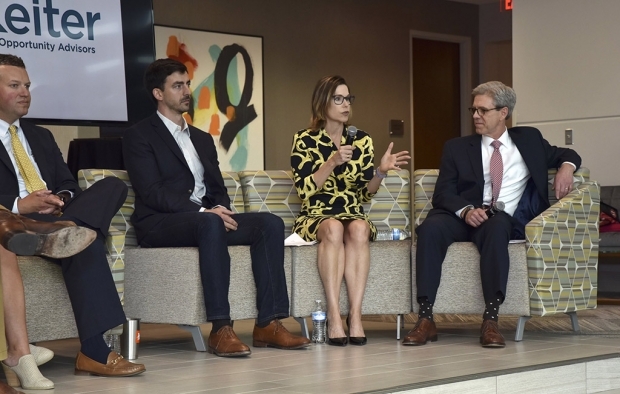 The consensus among that group was that the suburbs aren’t dying, rather just evolving; Scott’s Addition isn’t for everyone; millennials and baby boomer employees aren’t always as different as we might think; and technology – including driverless vehicles, will continue to shape the trends that developers and landlords must respond to. 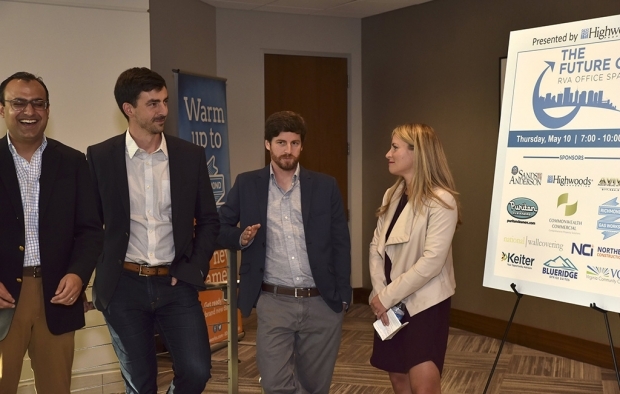 And we left the crowd with a question to ponder: where is the next Scott’s Addition, in terms of the next potential hotspot for office development? 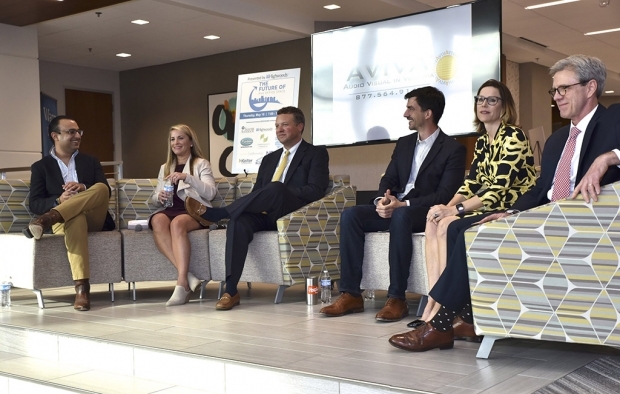 Predictions from the panelists varied, from Manchester to Northside to Monroe Ward. 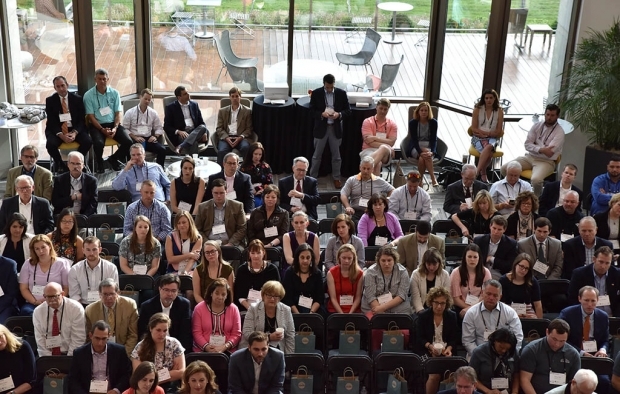 The Future Of will be a quarterly series, so stay tuned for details on the next topic. 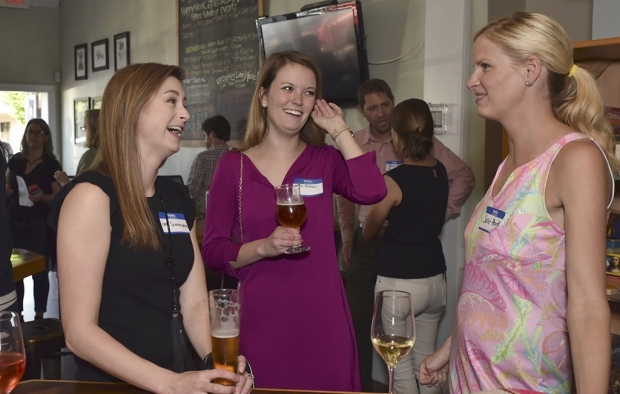 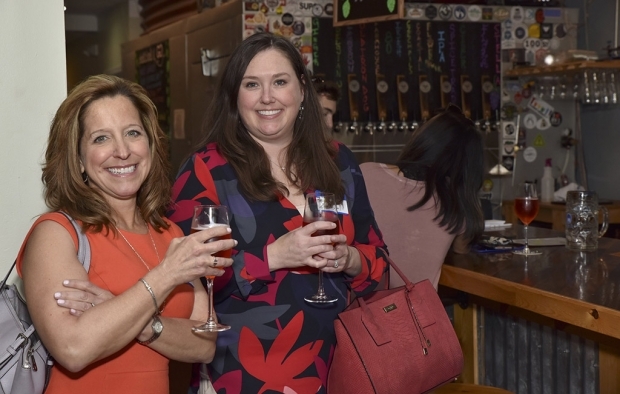 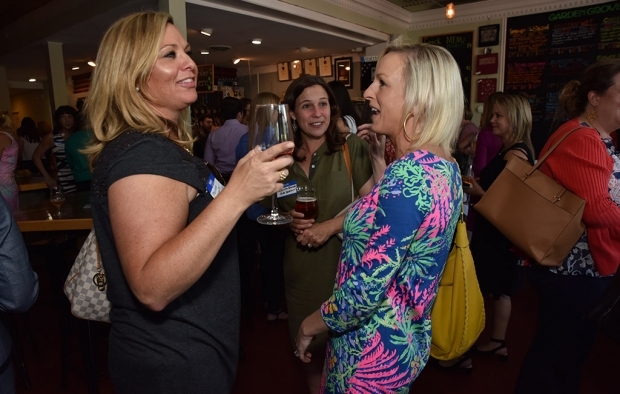 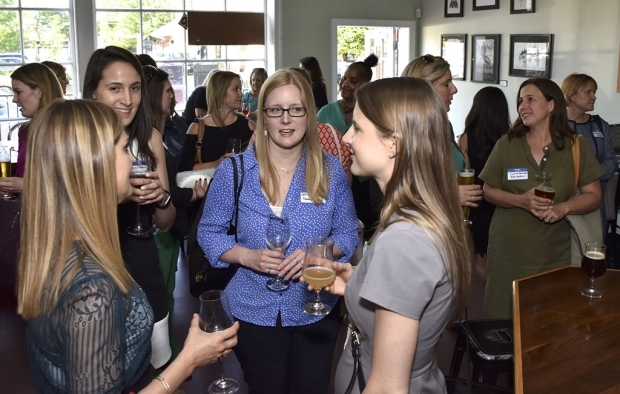 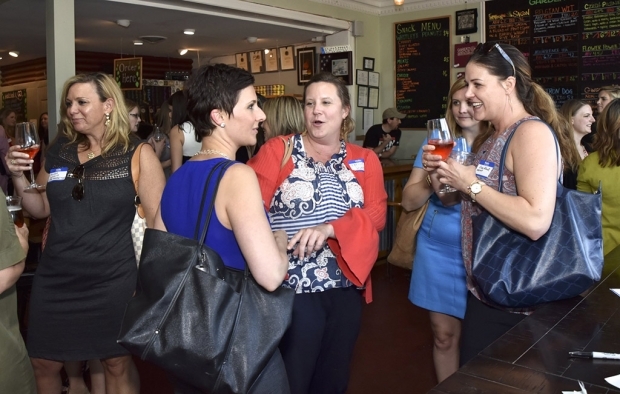 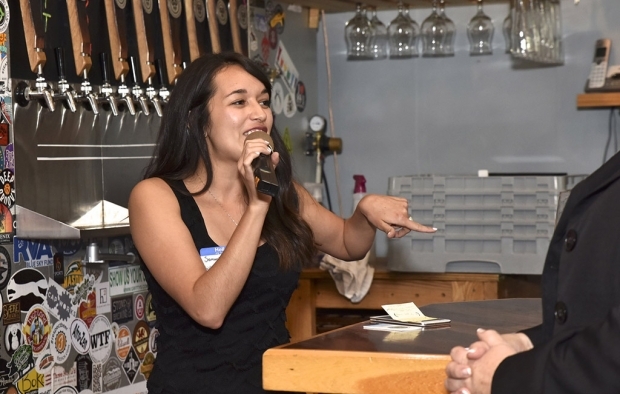 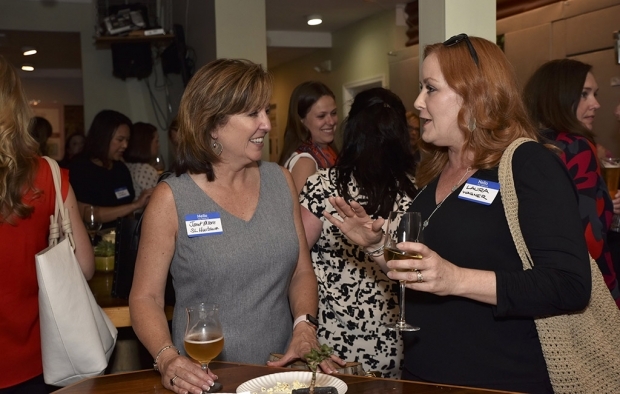 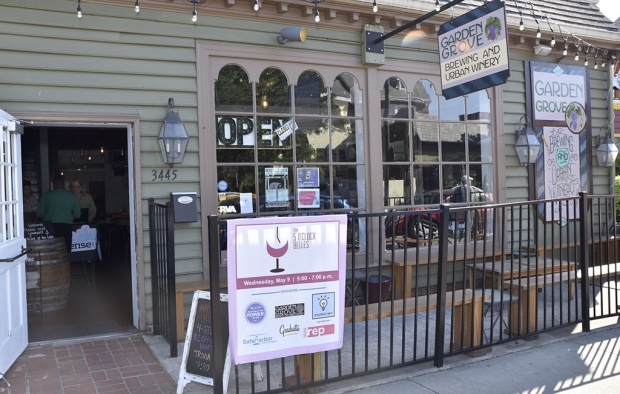 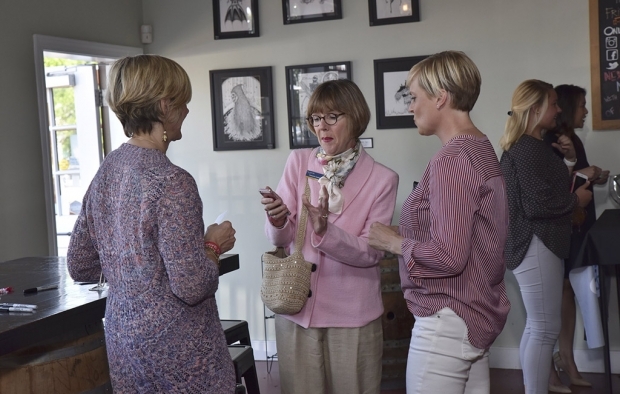 Back in the city in Carytown, 5 O’Clock Belles, our first women’s only networking event, packed more than 100 businesswomen into Garden Grove Brewing Co. & Urban Winery. 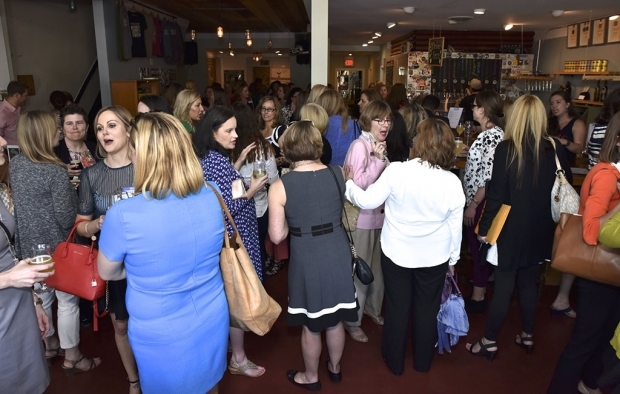 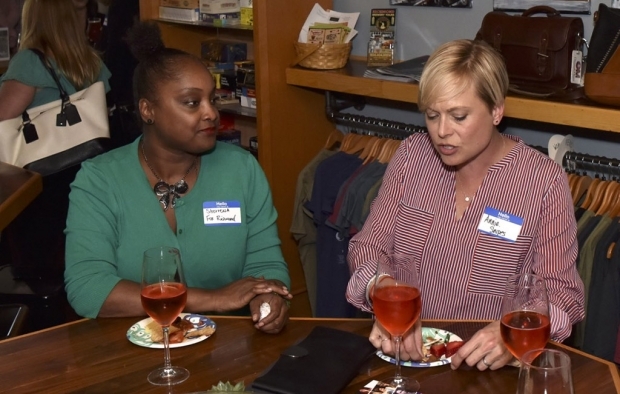 Industries of all types were represented, connections were made, beverages were consumed and momentum was built for another Belles gathering later this year. 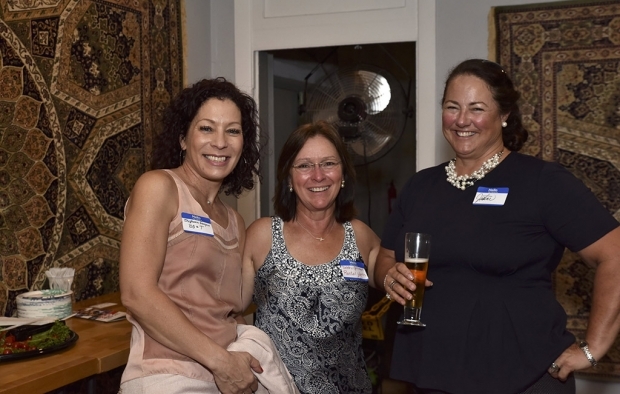 5 O’Clock Belles sponsors: SonaBank, Studio WY, Virginia Repertory Theatre, Graduate and Garden Grove. 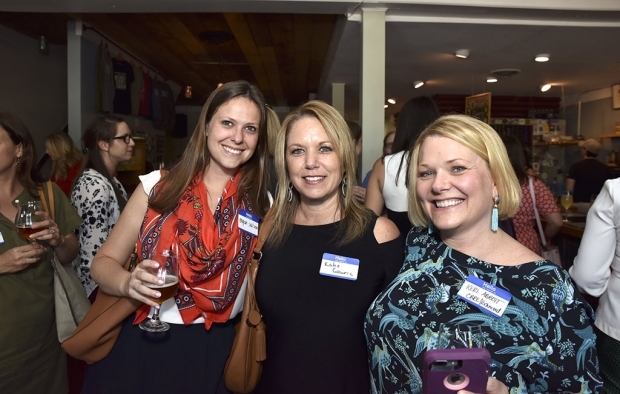 The next installments of Future Of and 5 O’Clock Belles are already in the works. 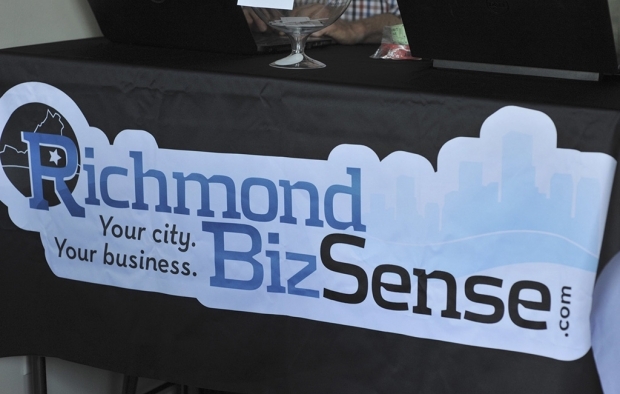 Stay tuned to BizSense for details.